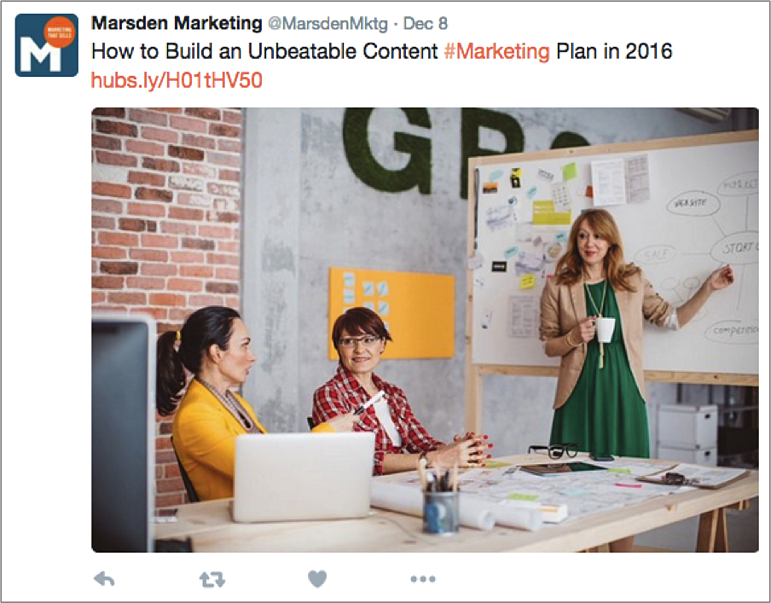 There’s no doubt about it – content creation is a business imperative for those looking to get ahead of the competition in 2016. Blogging, if done correctly, can be a great way for your business to position itself as a thought leader in your industry, increase brand awareness, attract prospects, and build a network of industry influencers. HubSpot found that marketers who have made blogging a priority in their content strategy are 13x more likely to enjoy positive ROI. However, it’s not enough to simply have a business blog. If you are not setting your blog content up for success, you could be wasting a lot of valuable time and resources. 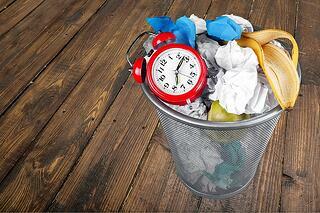 Not generating a steady stream of new blog subscribers? Barely getting any views on those posts you worked so hard on? Building your engagement numbers takes time, but if it’s been six months and you’re still not seeing any traction, consider this your wake up call. Here are five ways you’ve set your blog up for failure, and how you can amend your strategy for success in the future. If you’ve taken the initiative to set up a blog for your business, you’re already headed in the right direction for better content marketing, (and if you haven't, here are a few compelling reasons your B2B business needs to start blogging, immediately). If you’re not promoting your blog within your website navigation, with clear calls-to-action on your web pages, and on your social media accounts, you’re doing yourself a serious disservice. According to a study by Accenture, 84% of B2B prospects will check out a business’s website as part of their research phase. Including a link to your blog as part of your primary website navigation and in your footer allows people to easily find content that can influence their decision-making process. Linking back to blog articles on high traffic pages such as your service offerings, product information, team, and careers pages also gives visitors the opportunity to stay engaged on your website for a longer period of time. 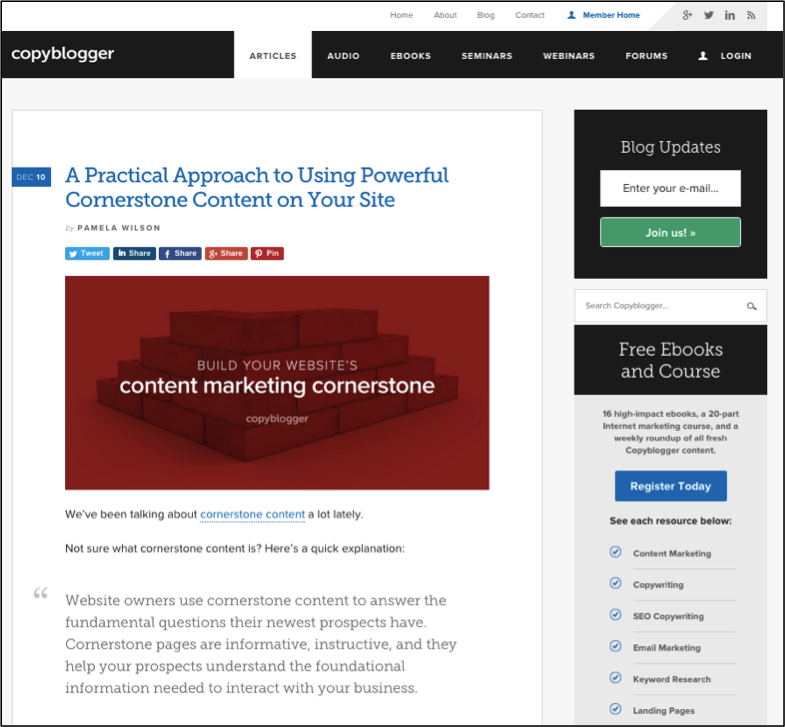 Econsultancy does a great job of showcasing their blog on the homepage, as well as linking to their blog content in their internal web pages. 2. You don’t have a subscription. By 2020, Gartner predicts that customers will manage 85% of their relationships without talking to a human. This means businesses will have to be diligent about staying top of mind with customers and potential prospects that live online and rely heavily on digital communication. Creating and promoting a subscription to your blog gives you the opportunity to email new posts directly to a targeted list of readers that want to receive information from you, and will help you build a following of loyal brand advocates that will, ideally, engage with and share your content. It also allows you to “communicate” with your subscribers on a regular basis and remind them that you’re consistently turning out content on topics they’re interested in. Including a subscription module on your blog homepage, within your individual blog posts, as part of your website’s footer or header, in email signatures, and promoted via calls-to-action on appropriate web pages and social media posts are just a few options for building your blog’s viewership. 3. You have a bad design. Web users of the 21st Century are extremely visual. In order to maintain a competitive edge your website design must meet the demands of a mobile consumer-base, maintain a modern look that is easy to navigate, and clearly state your unique value proposition, or risk of getting lost in the search engine fray. Font type, image choice and placement, text spacing, and sidebar layout are all things that can make or break the success of your blog. Copyblogger is a great example of how a visually-appealing, actionable blog page can get your content read, build a list of loyal subscribers, and also promote additional content or services your business offers. Social media is no longer just an option for B2B businesses that want to engage with prospects, customers, and important industry conversations taking place online. Even if you have a solid list of blog subscribers, not sharing your content across your social media platforms severely limits your opportunities to gain exposure and continue to grow your viewership. As a good rule of thumb (and one we abide by as an agency), the content you share on social media should be a mix of industry articles and news, your own content, and the occasional call to action. If you want to retain that list of loyal blog subscribers, you need to set up their expectations accordingly. If you’re posting once every other month on any given weekday, subscribers may become disinterested and opt out next time you reach their inbox. Planning out a blog calendar each quarter with your content team will help keep delivery of new posts consistent and timely, (we recommend posting at least once a week to maintain engagement). Your blog content should also be consistent with the products and services you provide, current events and topics in your industry, and your brand voice. When it comes to any component of your marketing program, always remember to “check yourself before you wreck yourself.” If you’re not consistently analyzing and optimizing, you could find yourself forever stuck in a proverbial rat race of bad, unproductive marketing. It’s time to practice what we preach. Subscribe to our blog for weekly insights from the world of digital marketing.